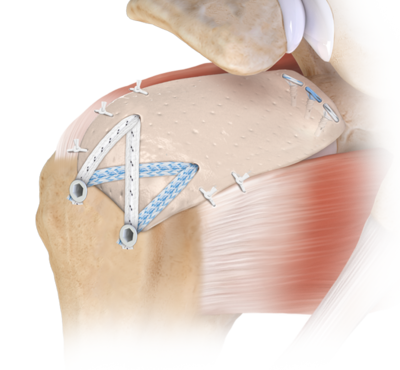 The SCR technique was pioneered by Dr. Teruhisa Mihata in 2007 for patients with irreparable rotator cuff tears. 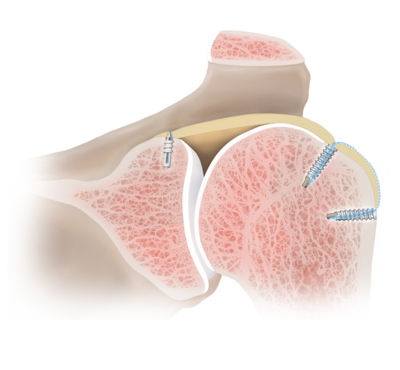 In the SCR study, a 24- to 51-month follow-up on 23 patients shows outstanding outcomes in pain, ASES scores, and acromiohumeral distance measurements.1 The SCR technique reinforces the superior capsule, keeping the humeral head reduced in the glenoid by attaching tissue from the glenoid to the greater tuberosity. 1. Mihata T, Lee TQ, Watanabe C, et al. 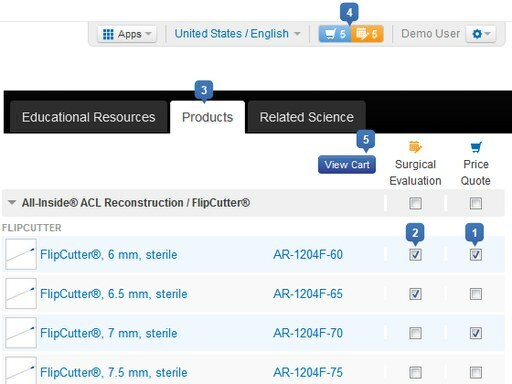 Clinical results of arthroscopic superior capsule reconstruction for irreparable rotator cuff tears. Arthroscopy. 2013;29(3):459-470. doi:10.1016/j.arthro.2012.10.022.